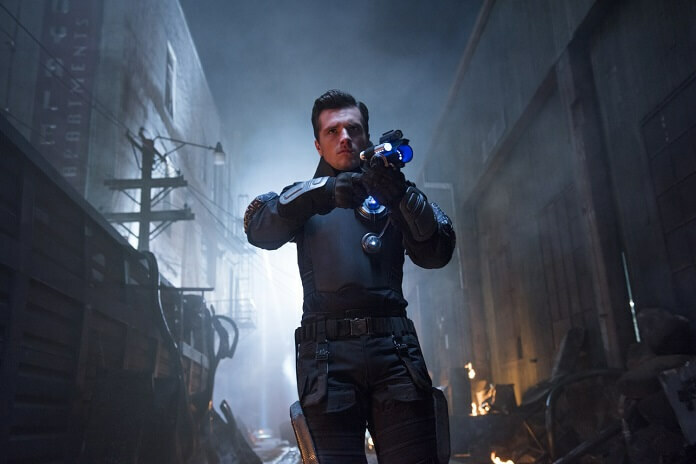 Hulu’s debuted the official (and really bizarre) trailer for Future Man starring Josh Hutcherson (The Hunger Games films). The sci-fi comedy series finds Josh Hutcherson playing a gamer recruited to help save the world. In addition to Hutcherson, the Future Man cast includes Eliza Coupe (Happy Endings), Derek Wilson (Preacher), Ed Begley Jr. (St. Elsewhere), and Glenne Headly (Don Jon). The series was created by Kyle Hunter and Ariel Shaffir (Sausage Party), with Hunter, Shaffier, Seth Rogen, Evan Goldberg, Matt Tolmach, James Weaver, and Ben Karlin executive producing. Hulu will launch all episodes of season one on Tuesday, November 14, 2017. The Plot: Future Man follows a janitor by day/world-ranked gamer by night who travels through time to prevent the extinction of humanity after mysterious visitors from the future proclaim him the key to defeating the imminent super-race invasion. Josh Hutcherson stars as Josh Futterman, an uninspired and dejected gamer who quickly becomes earth’s unlikely hero.